This is a continuation of the Early Dark Age project I started here. To recap, I am building several armies for playing the Dux Bellorum rules. I’m starting with the Romano-British, then the Saxons, followed by Picts and then Late Romans. 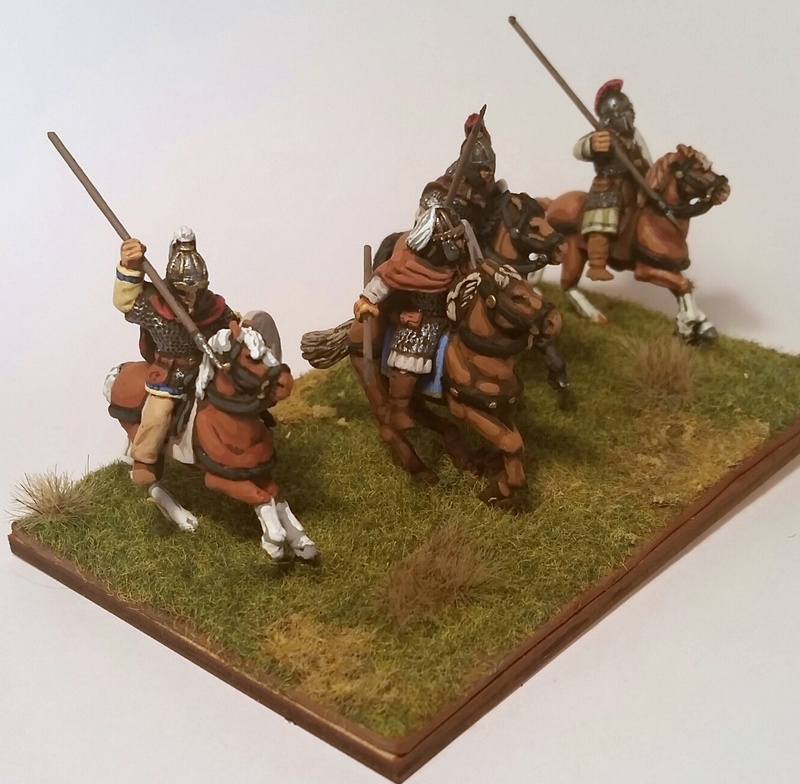 Normally, building 4 wargame armies is a HUGE endeavor (for me, anyway), but Dux Bellorum uses small armies, which makes it much more feasible. I’ve decided to base each of my units on single stands, Impetus-style. I like the look of the bases and I figure that I can use them equally well for Impetus or Hail Caesar rules if the mood strikes, and probably other rule sets as well. 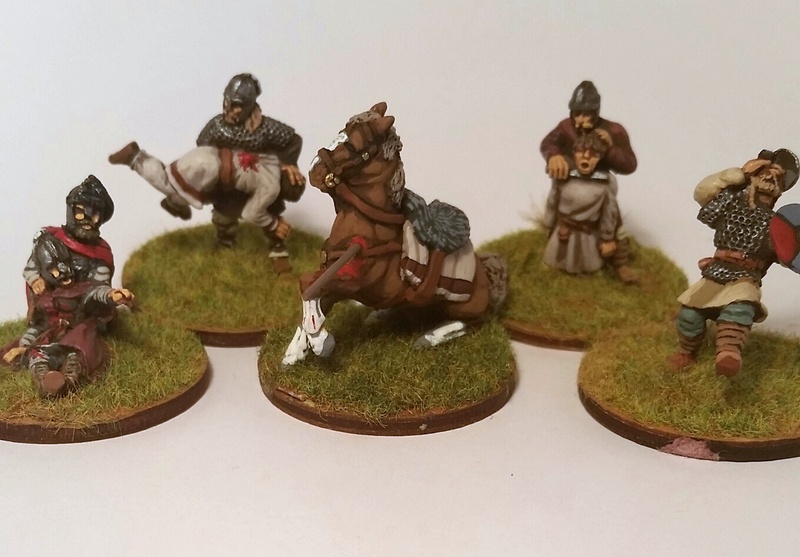 At this point, I’ve finished the Romano-British general’s stand (King Arthur himself) and have moved on to another unit of noble cavalry. If you take a peak at the previous post in the link above, you’ll see that I’ve changed the placement of some of the men. I’ve also changed my mind on the shield patterns and decided to paint them out. I wanted to give the noble riders the look of “icy-hued shields”, and this is just my personal interpretation of what that might look like. The lower ranks will have all the pretty shield designs. 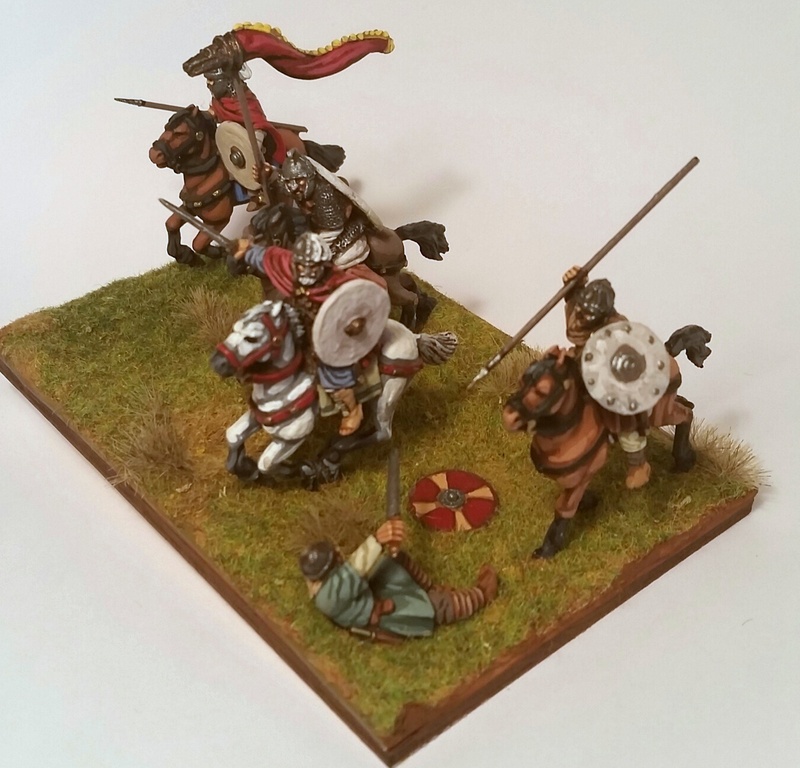 All of the figures are by Gripping Beast and Musketeer Miniatures. 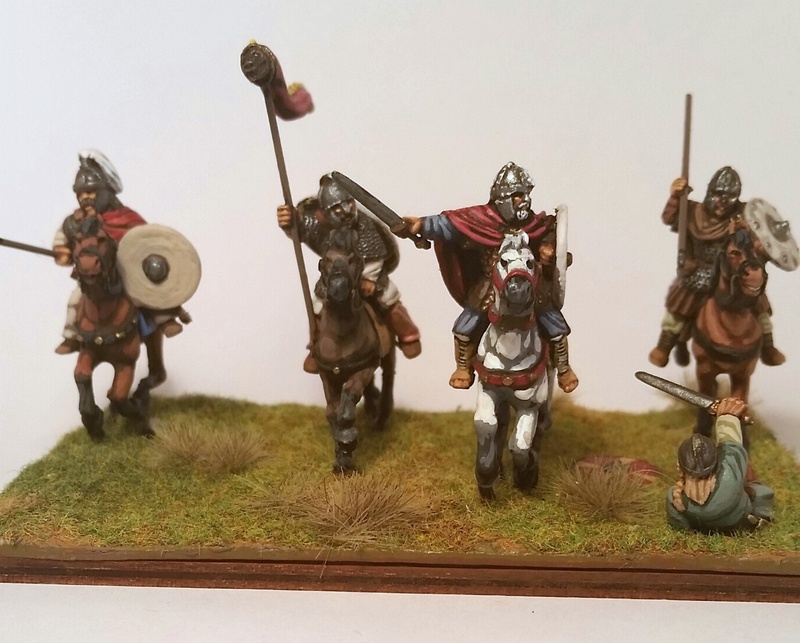 I have a second noble cavalry unit that I’m currently working on, so that will make three cavalry units in total, including general. In addition, I’ve made up some casualty markers to mark hits on units. The ones featuring Saxons doing deplorable things to helpless Britons are by Gripping Beast. The one showing a nobleman supporting his wounded buddy is by West Wind, from their Death of Arthur vignette. The horse was once standing normally, but I hacked off the rear legs and sculpted new ones along with the saddle, which represents the absolute pinnacle of my limited sculpting abilities. 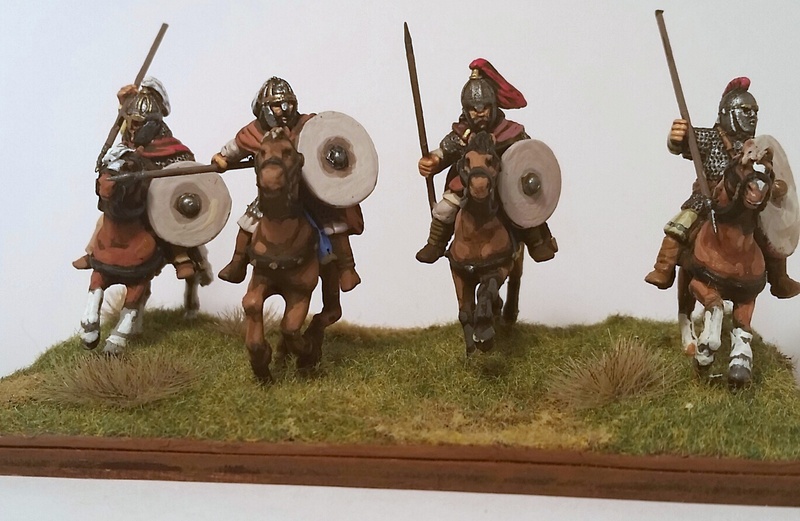 Next article in this series, I’ll present the Romano-British shieldwall.